He kicked of a series of seven nights at the London venue on April 1, with a huge 40-song setlist to celebrate his 10th anniversary in the business. The shows so far have mirrored Drake’s latest album, Scorpion, featuring an omnivorous mix of rapping and singing across a mix of dancehall, UK rap, hip hop, R&B and pop. They’ve seen Drizzy performing some of his biggest hits, drawing on everything from his debut album to his mixtapes and features. 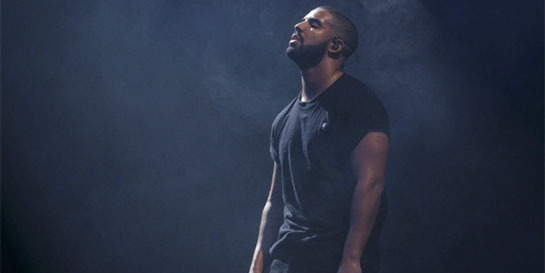 Drake continues to push creative boundaries. Alongside his hi-tech interactive staging, the show features a yellow Ferrari circling above the crowd and a full-screen HD floor with immersive graphics. Staying true to form, Drake once again shared the stage with a ranger of rap stars from the UK and North America, including his Island label-mate Giggs who entered to roars and screams to perform their hit track KMT. Reaffirming his love for the capital, Drake begins each show by premiering the trailer for the third series of the TV drama show Top Boy. The O2 also took the unusual step of renaming their venue as The O3 in reference to lyrics from the global hit God’s Plan. Drake continues to operate within an entirely different sphere as he establishes himself as the most prolific rapper of our time - his brilliant songwriting and ability to switch between the warmth of his singing voice to his intelligent pointed lyrics. After five albums, six mixtapes and 131 singles, he has become one of the biggest-selling artists in the world – breaking records with 27 tracks on America’s Billboard Hot 100 chart in a single year, beating the record held by The Beatles for half a century. The show has received a series of excellent reviews with The Evening Standard declaring, “it was the experience of being a music fan in 2019, delivered by its master”. His final night at the 02 is April 11, before he heads off to Antwerp for the next stage of the tour.